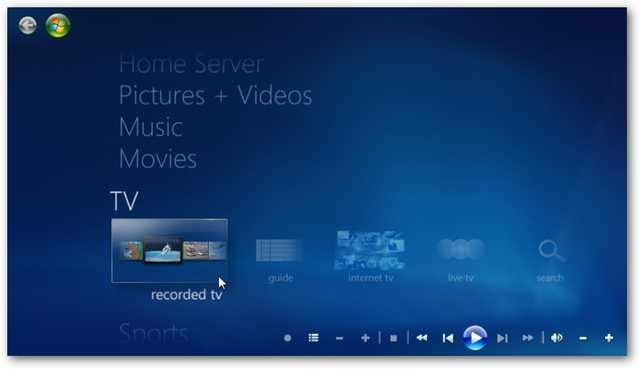 If you’re moving from XP to Windows 7, one of the new features you might be interested in is Media Center. In this tutorial we’ll walk through the process of configuring it for the first time and look at some of its default features. 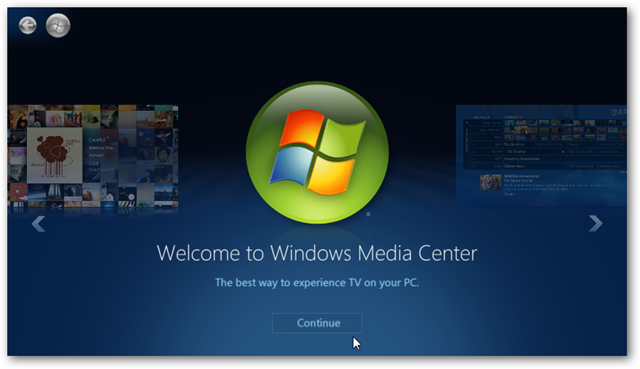 Unless you happened to be using XP Media Center Edition or Vista and are new to Windows 7, Media Center is probably completely new to you. Let’s take a look at setting it up for the first time and getting important basic features working. 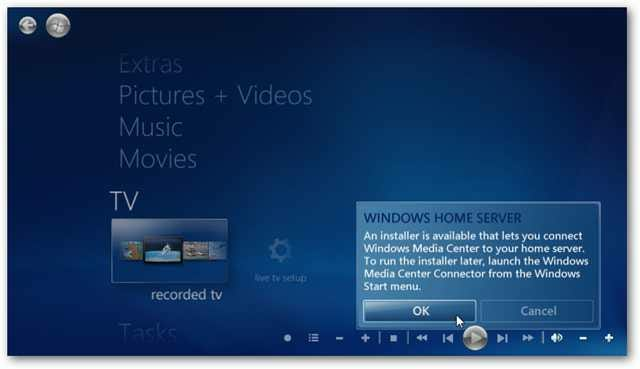 Note: Windows Media Center is only available in Windows Home Premium and above. 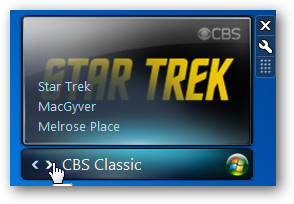 Click on the Start Menu and click on Windows Media Center. 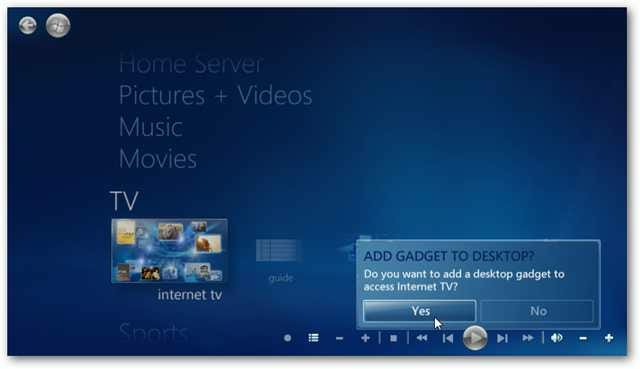 Windows Media Center will launch…click on the Continue button. 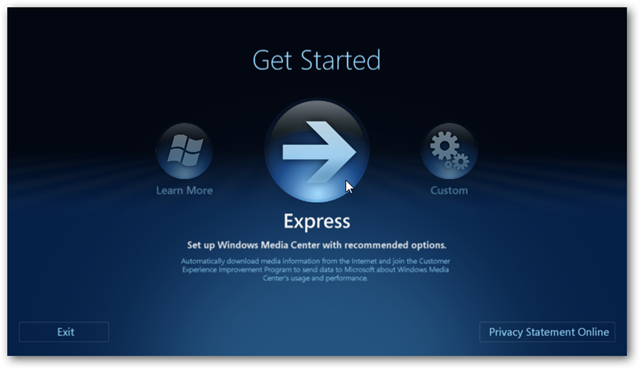 On the Get Started screen you can select Learn More, Custom setup, or Express. The quickest way to get rolling is to click Express. You can start with Custom setup, but it will take longer, and you want to get started right away. Also, you can change customizations at any time after you have it up and running. Now you have access to all of the default features in WMC…Pretty simple right? 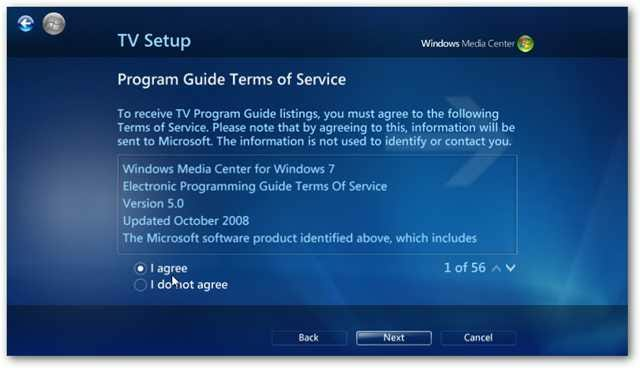 In this example we have a home network with Windows Home Server and we get a message asking if we want to use the Media Center Connector which we’ve previously covered. Another message that will pop up is for adding a Desktop Gadget if you want. The gadget will transition between different Internet TV programs that are available to watch. Click on the Wrench icon to change its settings. You don’t have to install the gadget at all, but if you do this is what you can expect. You’ll probably be interested in watching TV and videos right away so on the menu screen go to TV and click on Internet TV. 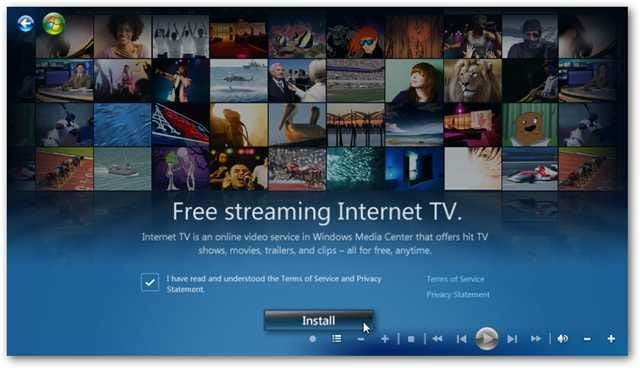 The Free streaming Internet TV window will come up, agree to the Terms of Service and click Install. 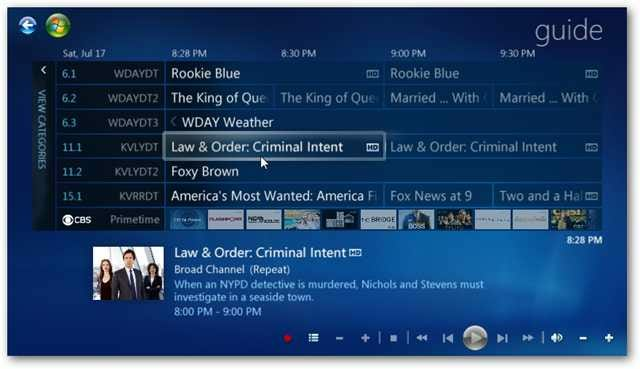 After installation you can start watching the available streaming TV programs. 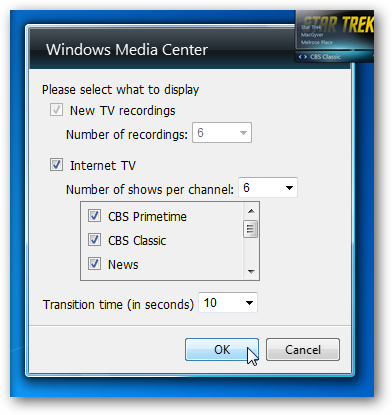 For more on this head over to our article on how to watch TV programs without a TV tuner card in Windows 7 Media Center. 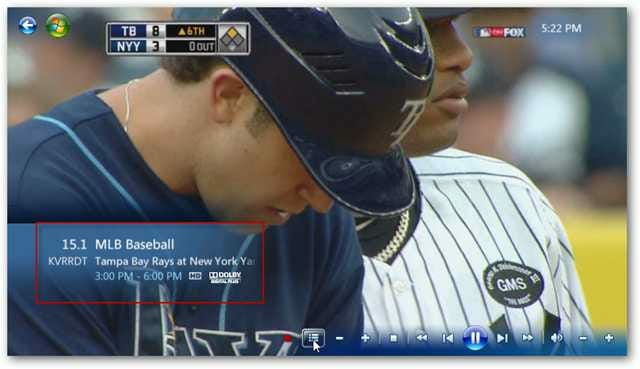 If you do have a TV tuner card, another thing you’ll want to setup right away is live TV. 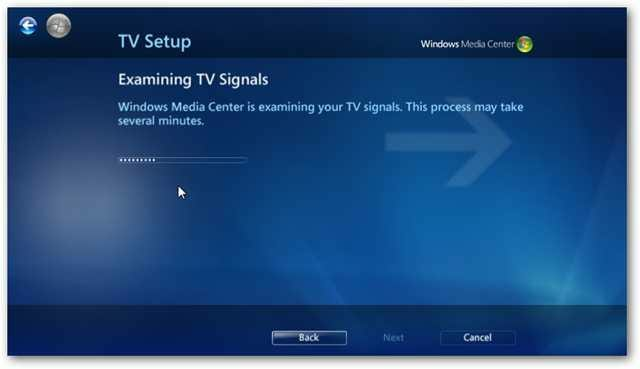 Make sure you’re antenna, cable, or satellite cable is connected to the card.From the main menu under TV scroll over to Live TV Setup. 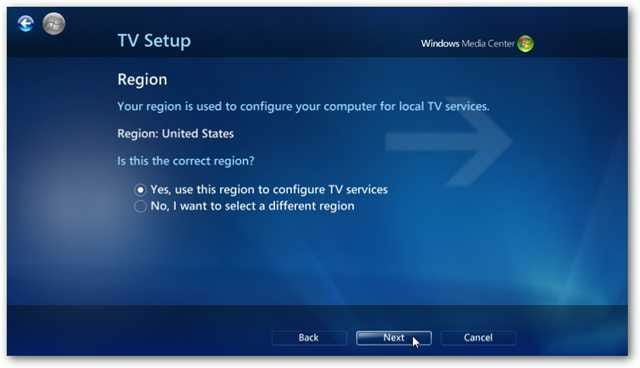 Verify the Region for your local TV service is correct. 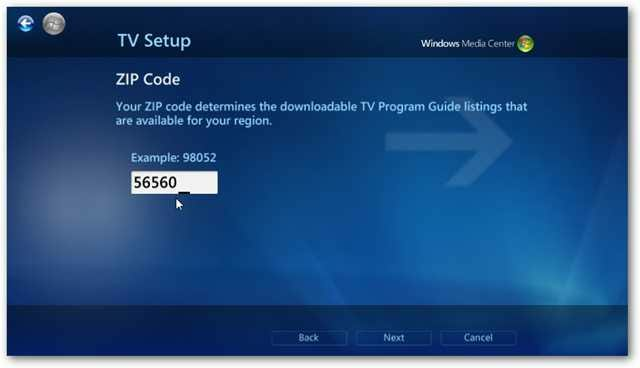 Enter in your zip code to get the Program Guide for your area. 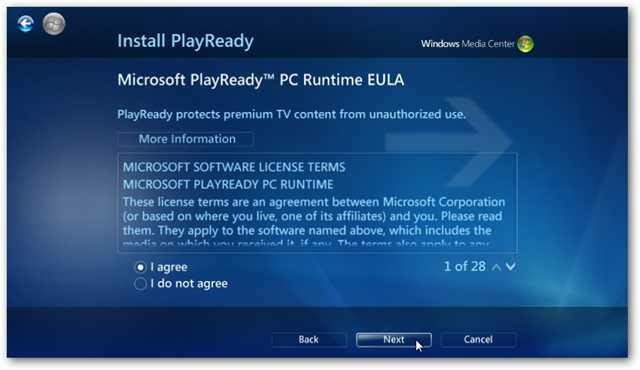 Then you’ll need to agree to the EULA for Microsoft PlayReady. 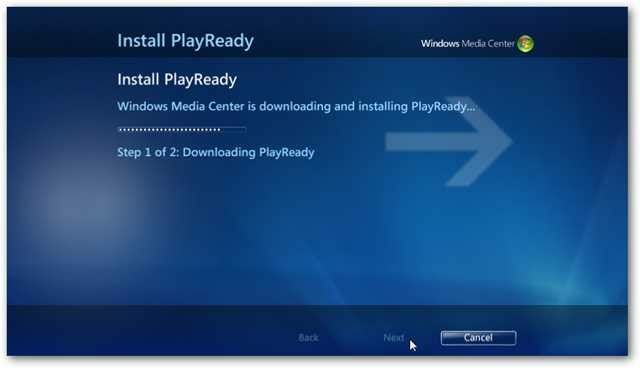 Wait while the Program Guide is downloaded and PlayReady is installed. After everything is setup you’ll be able to navigate through the Guide to view you’re favorite shows. 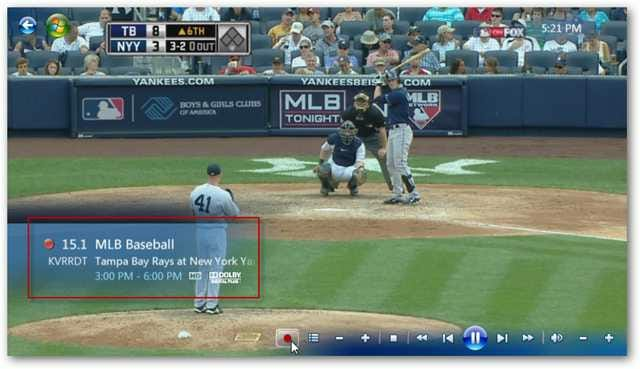 If you like to use WMC to mainly watch Live TV, a cool trick is automatically starting Media Center in Live TV mode. 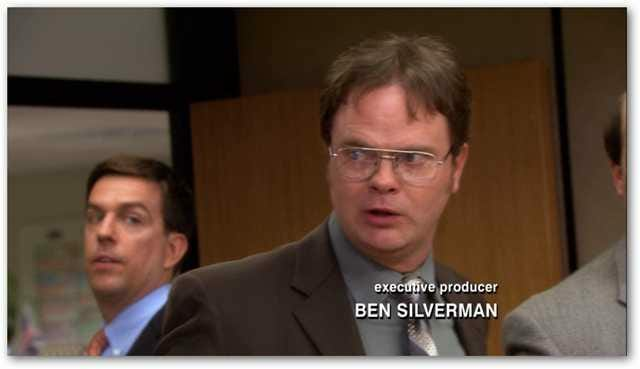 If you’re hard of hearing, or just want to mute the volume on a show, Close Captioning is available as well. 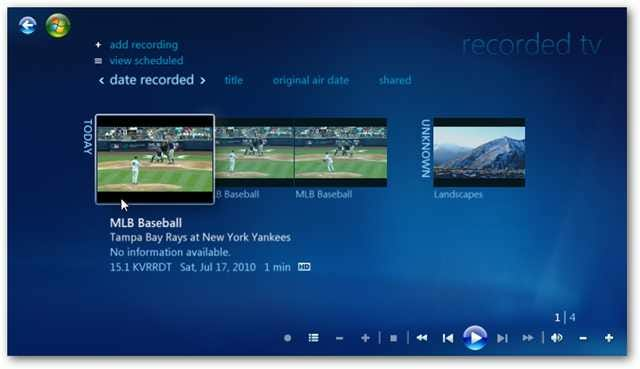 Another cool feature you’ll want to get started with is using it as a DVR to record, pause, and rewind live TV. The process is simple, while watching Live TV simply click the Record button. You’ll know it’s recording by a small message popping upon the left side of the screen with the red record button. Click the Record button again to stop it and you’ll see the Record button is no longer there. 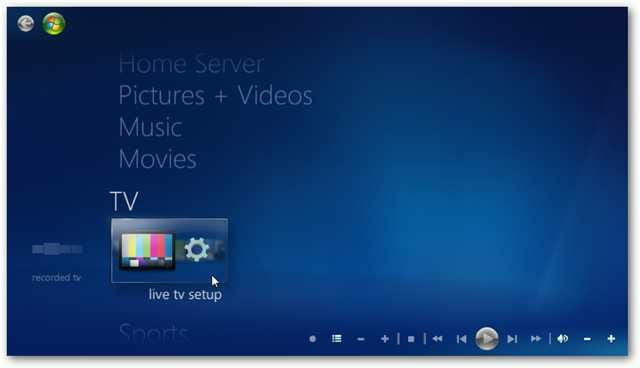 Then you can watch the recorded TV by going to the main menu and under TV select Recorded TV. This will pull up a list of the different shows you’ve recorded. 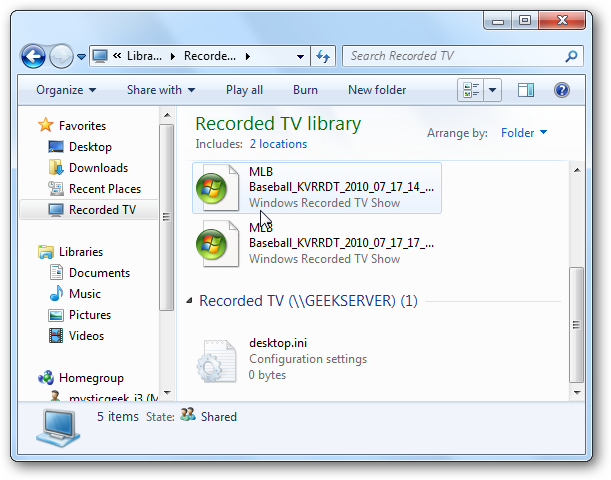 Your recorded live TV files will be in the Recorded TV Library Folder as “.wtv” file format. Keep in mind the Recorded TV files are lossless and will be quite large, so make sure you have the appropriate disk space. 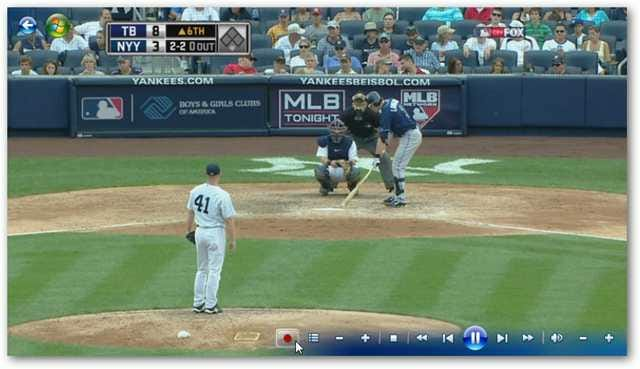 If you want to convert the files and remove commercials, check out our article on MCEBuddy. 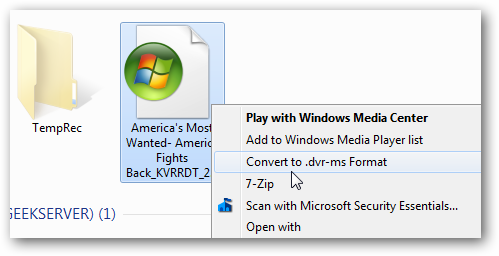 You can also convert the files to “.dvr-ms” format by right-clicking the file and selecting that option from the Context Menu. If you have a Netflix account, by default you can watch instant streams through WMC. 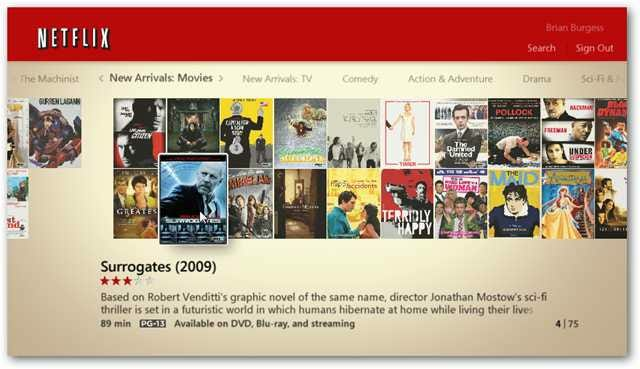 In the main menu navigate to Movies and select Netflix. Agree to the Terms of Service and click Install. 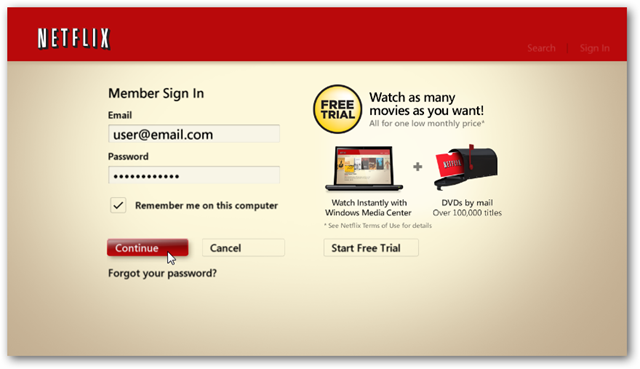 Now sign into your account or if you don’t have an account you can start a free trial. 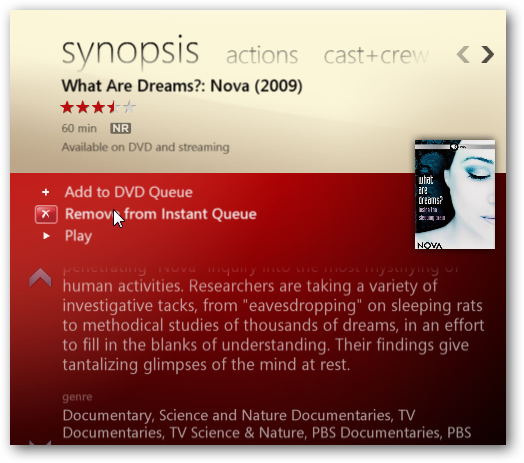 After signing in you can go through your Queue and browse for movies and programs that are available to watch instantly. 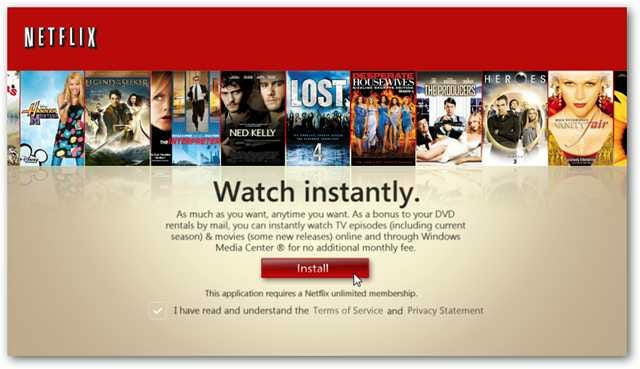 You have the ability to manage your Netflix DVD and Instant Queue directly within WMC. For best viewing results you can watch your videos in full screen. 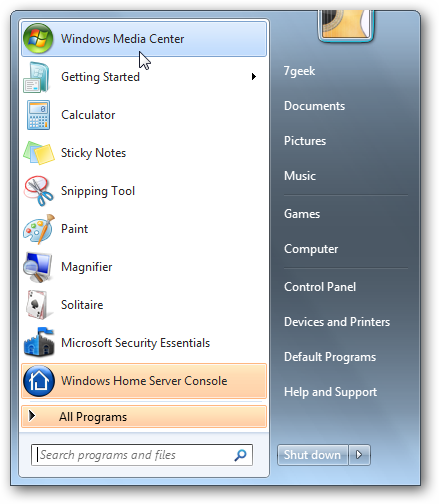 If you’re new to Windows 7 and Media Center, you might want to dive in and start utilizing it. We’ve already covered several articles on WMC and will be showing more neat features and addins in the future so stay tuned. What about you? 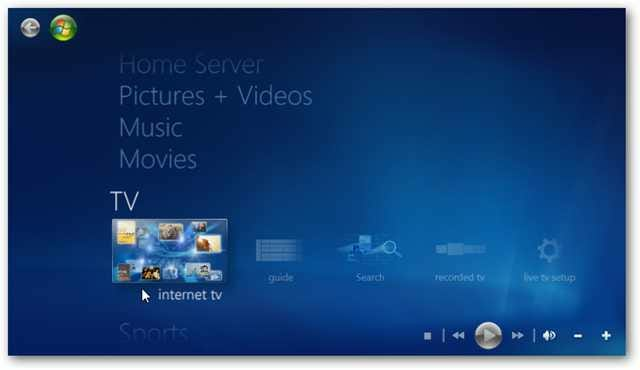 Have you tried Windows 7 Media Center? If so, let us know what your thoughts on it in the comments!